Date of Birth: 17 August 1993. Turns 27 years old this year. -Whoa, Yeo Jin Goo reminds me of Ji Chang Wook a lot.. And I thought Yoo Seungho had double eyelids..? I remember seeing it in I Miss You, or did I see wrong..? -Yoo Seungho is driving me crazy..
-Hul.. I don't know what to do. I like the three of them..
-I can't believe Yoo Seungho is 27 years old.. He looks so young..
-Yoo Seungho is 27 years old..?? His image as a child actor left a deep impression.. He still look like in the early 20s in my eyes..
-These are the two dramas whose male lead characters are getting great responses from netizens..
-I had no idea Yoo Seungho was this handsome.. His face is driving me insane.. Commercials are designed to reflect the hottest trends of the moment, so it’s no surprise that sometimes they don’t age well. Although many commercials show our favorite K-pop and K-drama celebrities looking gorgeous, beautiful, and composed, sometimes a commercial will go for a totally-out-there concept that comes back to embarrass the celebrities later in their careers. Some of these commercials are adorably vintage in their reflections of what used to be popular, while some are recent ones that – while not embarrassing per se – have asked their stars to perform some interesting things in the name of selling their product. Maybe this is a Choco Heim thing? Before there was Yeo Jin Goo, there was Yoo Seung Ho. While there was no cloning involved here, somehow that makes the little song and dance he does even funnier. Also, there is some serious eyebrow game at the beginning. “My Strange Hero” tells the story of Kang Bok Soo (Yoo Seung Ho), a man who returns to his high school, 9 years after being expelled on allegations of school violence and bullying, to enact his revenge, only to find himself caught up in a completely different situation. Kim Dong Young plays Lee Kyung Hyun, his closed friend and head of the Your Wish company. In episode 17 and 18, Bok Soo emptied his emergency funds to officially request Your Wish to enact revenge against Oh Se Ho (Kwak Dong Yeon). Bok Soo, Kyung Hyun, and Min Ji (Park Ah In) uncover a dark connection between a college entrance guidance academy and Seol Song High School, along with corruption surrounding the school’s debate competition. Meanwhile, Se Ho tries to force students from Wild Flower class to move schools and also revokes their victory at the debate competition. With such adversities facing them, Bok Soo and Kyung Hyun take the students to meditate and band together. Bok Soo and the students sit across from Kyung Hyun, who is teaching them how to meditate and bring up their morale. It will be interesting to see how the idea was hatched, and what effect it will have on the students. The upcoming episode will air on January 14 at 10 p.m. KST. Catch up with the latest episodes below! Yoo SeungHo in the past mentioned that he had no confidence in acting comical and bright scenes. If you have been following the actor’s dramas, he previously acted in many non-funny characters. These characters had a heavy dark and/or sad situation. The actor started to open to more bright roles especially with the comical movie “Seondal: The Man Who Sells the River” in 2016 and his first romantic comedy in 2017 “I’m Not a Robot”. 1boon choose some scenes that represent the actor’s comical acting in the airing drama “My Strange Hero”. “My Strange Hero” is a romantic comedy drama that tells the story of BokSoo that was unfairly expelled from his high school because he was accused of being a school bully. 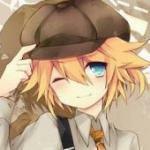 When he is an adult, he plans to get revenge by going back to the school. However, it did not go as planned. He starts to get in trouble again and get linked to love again. For more information and picture about the drama, you can check our cast and summary here. Yoo SeungHo shows his funny ice skating skills as he runs as fast as he can to buy the Bulgogi Burgers at the store of the high school for his classmates. He is sacrificing himself to help his nephew that was asked to go buy them by the bullies. There are way more funny scenes! 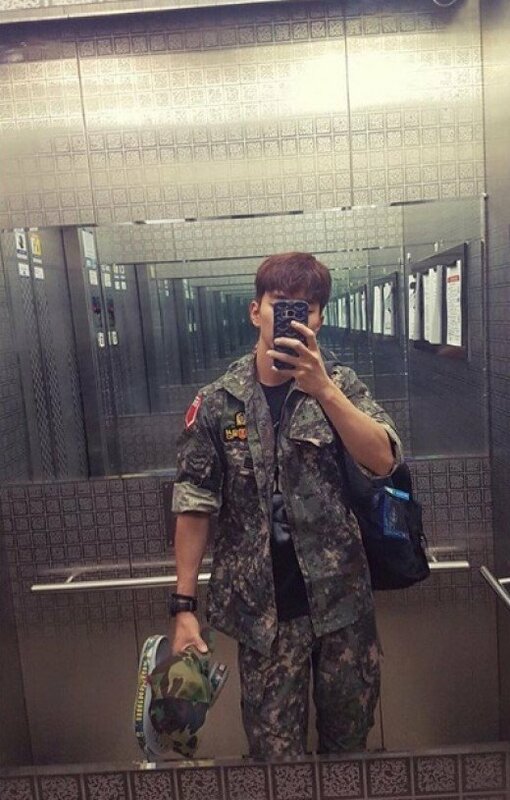 Yoo Seung-ho took a selfie in the elevator and posted it on his SNS on the 13th. He's wearing military uniform and looks very manly. It looks like he's coming back from training. Netizens approve of his masculine pose and looks. Yoo Seung-ho was discharged from National Service in 2014 and appeared in MBC drama "Ruler: Master of the Mask" and is currently starring in "My Strange Hero". Korean celebrities have, for the most part, pointedly ignored this trend — why, we cannot fathom — so here you go, you ageless monsters. We did it for you. Yoo Seung Ho Gets a Selfie Lesson from Kwak Dong Yeon! Korean actor Kwak Dong Yeon taught his drama co-star actor Yoo Seung Ho how to take amazing selfies. On January 15, Yoo Seung Ho dropped a few pictures of him and Kwak Dong Yeon on his social media account. In the pictures, both of them are looking at the camera with a smile on their faces. Along with the pictures, Yoo Seung Ho wrote, "Thanks for the tip, brother." It seems like these two young actors became good friends while filming SBS' Monday-Tuesday drama 'My Strange Hero' and Kwak Dong Yeon gave Yoo Seung Ho a few pointers on how to take great selfies. After a while, Yoo Seung Ho who was known for his not-so-impressive selfie skills managed to get a few good shots with the help of Kwak Dong Yeon. About two weeks ago, Yoo Seung Ho shyly confessed that he is not good with selfies by leaving a cute note on his social media account that said, "I mean, I did try to take a selfie. But I think there is something wrong with my cell phone or my hands." He added, "I'm posting one of the prettiest pictures in my phone. This is one of the good ones." Ever since then, Yoo Seung Ho only posted the pictures of him taken by other people and selfies which totally failed to capture his jaw-dropping beauty. Many of Yoo Seung Ho's fans are desperately hoping that he could benefit from Kwak Dong Yeon's one-on-one lesson and learn a thing or two about selfies. Meanwhile, Yoo Seung Ho and Kwak Dong Yeon are currently busy filming 'My Strange Hero' together. SBS’s Monday-Tuesday drama “My Strange Hero” has shared new stills of Yoo Seung Ho shedding tears at an unfortunate situation. “My Strange Hero” tells the story of Kang Bok Soo (Yoo Seung Ho), who returns to his high school after being expelled nine years ago for false accusations of school bullying and violence. He runs into his first love Son Soo Jung (Jo Bo Ah) and goes up about Oh Se Ho (Kwak Dong Yeon) to get his revenge. In order to prepare for the role, which required Yoo Seung Ho to be smiling brightly one second and be close to sobbing the next, he discussed the scene with the director and then stood to the side by himself to get into character. A sudden snowfall had staff members scrambling to handle the situation, but Yoo Seung Ho was able to create an emotional and moving scene. The Korean Business Research Institute has announced this month’s brand reputation rankings for drama actors! The rankings were determined through a data analysis of the media coverage, participation, interaction, and community indexes of 100 actors who appeared in dramas that aired between December 18 and January 19. I am not a Robot was a flop, a real flop in Korea but achieved some popularity overseas despite a very thin plot and the fact that the writing milked YSH's melo acting skills to cover the plotholes and drag the drama. Since his military discharge YSH has been struggling, I predicted he would soon face a wall and need to make a choice : either to find an actors agency or continue to spiral down. He made his choice now. I already talked about the poor management of San ent some years ago and had lengthy discussions with other Yoopies here and privately. These past months I've been ranting about it endlessly and I almost lost hope on him. I will fully support his decision and I wish he will find a good home agency that suits him and takes care of him well.